We’ll y’all, looks like our snow might finally be gone (at least for a little while). Don’t get me wrong, I love winter, but all of this snow and ice has been rather annoying recently. Although I did enjoy my days out of class, sometimes a girl just needs some sunshine. Today’s look is an homage to springtime. I am secretly hoping that my bright teal (sweater)dress, my favorite floppy sunhat and some adorable cut-out sandals will attract some warmer weather. However, I have added a comfy cream cardigan, just incase I get a little chilly on my commute across campus. 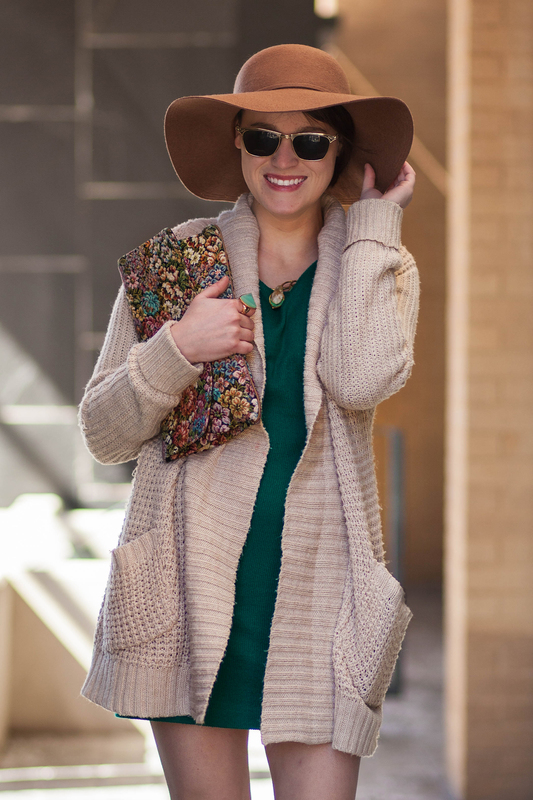 I am loving this warm, but bright, outfit and it definitely has me dreaming of spring!